Welcome to the Wey Valley Riding Club website. Looking back – what a successful 2017 we had! Join us of Facebook to find out more! 2018 we are focusing again on our ever popular training in various disciplines, for those looking to brush up their skills and improving the performance of our already successful teams at regional and national level. 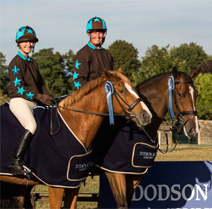 Entries are OPEN for our Summer Evening Dressage Series. Click HERE to find out more. BRITISH RIDING CLUB RULES. Click HERE for a direct link to the BRC Handbook 2019.